On Monday I received recognition of 21 years service as an employee of the University of Reading (I’ve actually been here for 24 years but 3 as a PhD student don’t count!). In that time I have gone from postdoc to Professor, held many teaching and learning administrative roles, been Head of Department of Meteorology and moved into a University wide leadership role. I get invitations to speak at international meetings, to review funding proposals and appointments from across the globe. I have published a reasonable number of papers and won a considerable amount of funding. PhD students have graduated and gone on to roles in other research organisations and BEIS. I am President of the Royal Meteorological Society. I don’t feel that I have done anything particularly amazing other than working averagely smartly and being pro-active in terms of my own career development. But, there are a significant number of my colleagues both near and far who think this career path should have been impossible. Here you might expect me to mention being female and working part-time for the past 10 years. And I will – because these are definitely viewed as “unusual identities” for successful academics in at least some places. But these are not in fact the main reason that some colleagues might think that I should not be where I am today. It is instead exactly what was recognised by the University this week. I HAVE NOT MOVED INSTITUTION. Recently I have noticed an increasing prevalence of expression of the belief that it is a requirement to move institution in order to demonstrate independence as a researcher, a necessary step in gaining an academic position. Perhaps this has always been one pervasively held view, indeed I have been told this on occasion regarding myself (fortunately not by the wonderfully open-minded people who hired me and kept me here). In some countries this is enshrined in the career path system, so determined are they that external perspectives need to be gathered in this way. What is upsetting is that I am increasingly seeing this feedback given to really strong Early Career Researchers as they apply for independent research fellowships from a variety of funding sources. Even though some of the funding agencies in my area state to reviewers that applicants should not be penalised for not moving around, I have seen paragraphs of feedback doing exactly this given to applicants, regardless of any recognition that the chosen institution is one of the best places for the science that needs to be done. I understand that applicants should be expected to justify the choice of institution to which they are applying. I don’t have a problem with reviewers giving feedback on whether the choice of institution makes sense on science grounds. But I DO have a problem with the assumption that unless you have moved around, you cannot be a bona-fide independent academic. From another perspective, as a Head of Department it can be incredibly frustrating to have valued team members who want to stay but you struggle to keep because of these quite pervasive opinions. I did not stay at Reading for any “personal” reasons, at least not for the first 11 years of my career here. I stayed at Reading because it is one of the best places in the world to do meteorological research. End of. Yes, I can appreciate the value of different perspectives and experiences that might be brought by working in different institutions. However, this can be gained by different means – for examples visiting other institutions, building collaborations with overseas teams. Additionally, moving has quite a large overhead in terms of setting up a new group and integrating into a new environment both at work and at home – I have mentored and coached several people through these transitions both here and elsewhere. It is common for there to be a gap in publications following such a move due to these overheads, and this has to be balanced against the “independence” shown by moving your life around. The positive productivity benefit of knowing the environment and having a support network in place seems to be less appreciated. Of course I am biased since I have not moved around. Others will be biased towards demanding that postdocs move around because they have moved around – I guess to them folks like me are the exception that prove the rule! Ultimately, if people want to move around or feel that they need to do so to achieve what they want to achieve then great. However, I’d like to end with a couple of requests. Firstly, to funding awarders – if a review comes back full of statements about whether the applicant has moved around or not that are not directly related to whether the science can be done in the chosen location, please disregard this, and think about whether it should be passed on to the applicant. The reviewers are, after all, at least where explicitly told not to penalise for this, giving the impression that they are ignoring your instructions. This damages your reputations as inclusive organisations. Appearing to take into account demands that applicants move could in fact be discriminating against certain communities whose equal opportunities are protected under the UK Equality Act 2010. Secondly, to fellowship application reviewers. Please put to one side those limiting beliefs that we all hold, and judge the applications on the science and on the capacity of the applicant to do science in the chosen location, not whether the applicant has moved around. There may be many reasons why people haven’t moved around, including caring responsibilities, financial constraints, disability or mental health issues. People may not wish to declare these. Or it could just be, as it was for early-career me, that they are already in the best place to do the science that needs to be done. With a huge thanks to those who have made it a wonderfully challenging yet productive and happy 21 years at Reading. I am feeling envious. Envious of those researchers, or research leaders, who have found a particular niche area, and who are able to spend the majority of their time there. I am at a project meeting for one of the 4 projects I am involved in at the moment. It so happens that the work my group does at the moment concerns 3 distinct geographical regions: the Sahara, the Brazilian rainforest and the South Asian monsoon. 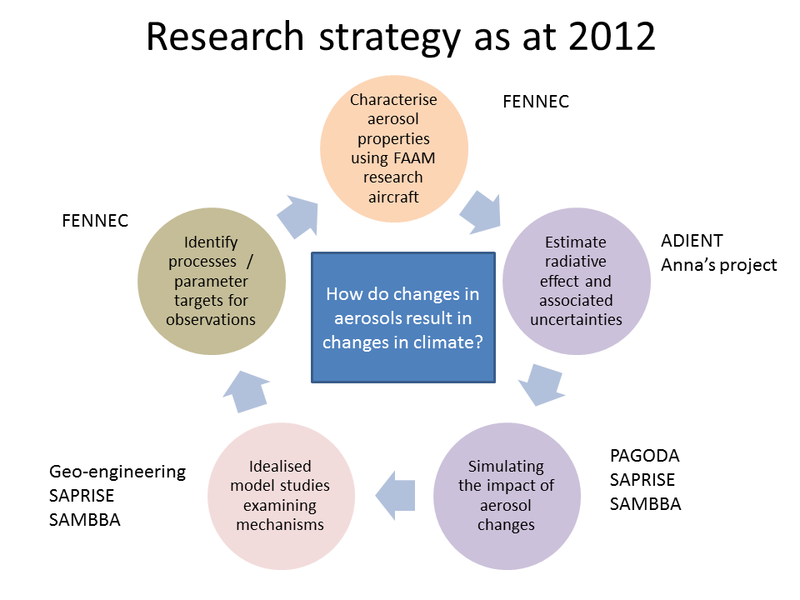 In each case, my interest is in the role that aerosol could play in driving regional weather and climate, but in each case the background is very different. On days like today, I am having to catch up with the basics of biomass burning and all the previous literature before I am even on the same page as those who are working more continuously on one area. 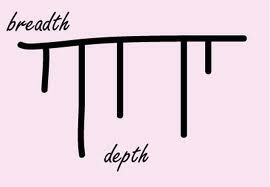 It ultimately comes down to the old breadth versus depth argument. Ever since I started winning research funds I have always had quite a few different strands of research on the go at any one time. This is interesting and exciting, but can be exhausting to keep up with. At one point I had people or myself working on 7 different topics. I felt like I was constantly behind on all fronts, although all projects were interesting. In the end, I breathed a sigh of relief when one or two of the projects ended. For me, breadth has worked so far, but at moments of low self-confidence I sometimes wonder whether the broad approach that I sort of fell into (possibly related to inability to say no?) was the right decision. It’s a question that I get asked by postdocs and more junior academics very frequently, not just in terms of research area, but also the balance between research, teaching experience and other academic activities. It’s also something that varies between graduate programmes in different countries , as discussed in this article by Robert A. Segal for Times Higher Education. My usual response is to say that it varies and point to examples from within our department of those who are incredibly narrowly focused, and those with a broader portfolio. There is success in both cases (but then everyone’s definition of success is different too!). When I was a junior lecturer, my line manager at the time Prof Alan Thorpe, now Director of the European Centre for Medium Range Weather Forecasting, asked me to draw a map linking my various current research projects together and to identify 2 to 3 common science questions or themes. Then, each time a new opportunity presented itself, I was to use this to consider whether it was either central to one of my themes, or developing a new theme that I had in mind to expand at the expense of something else. At the time it was useful in clarifying that there were some universal themes across all 7 projects. For a few years it was helpful in giving me a reason to say “no” to some requests. I periodically review and revise this map of my strategy and still find it a useful process. I don’t think its giving too much away to show the version as at 2012 with the projects that were running then. I still have lots of things going on, but can see that at that point there was more emphasis on modelling than work with observations – perhaps a reflection of being a parent and not wanting to go away on fieldwork quite so much. Looking back at earlier versions its interesting to see how some things have evolved (the balance of modelling vs fieldwork whilst other aspects have remained more constant (the use of idealised experiments to understand processes). I wonder what future versions will look like?